HOF NAME!!! 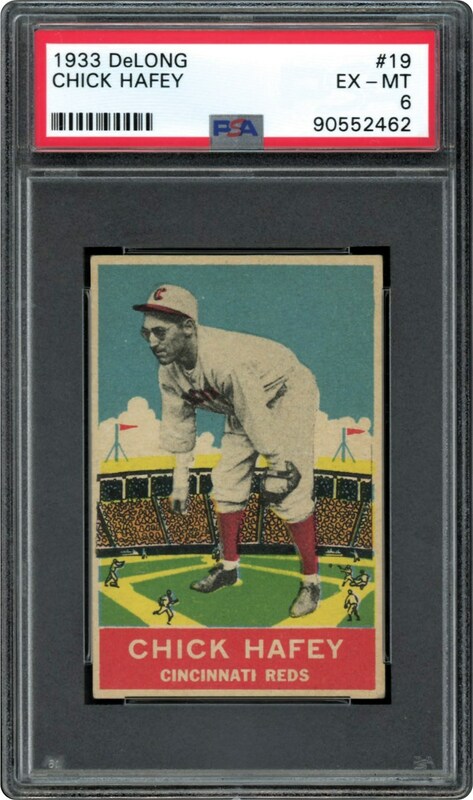 Hall of Famer Chick Hafey on his DeLong card from 1933. 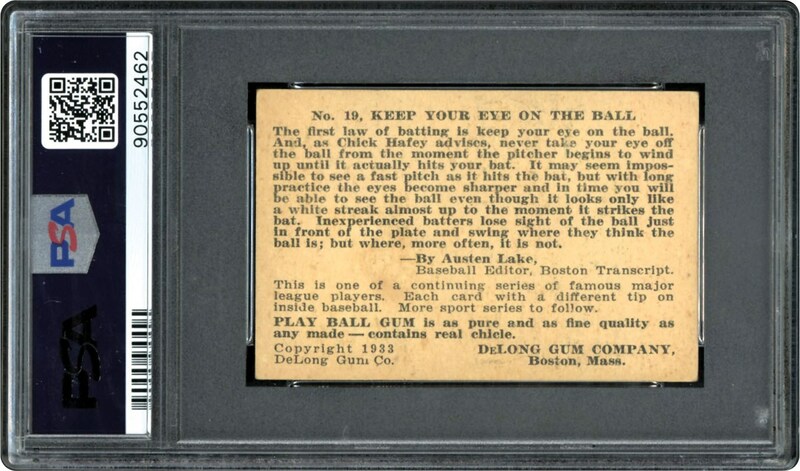 A high end PSA 6 offered here.